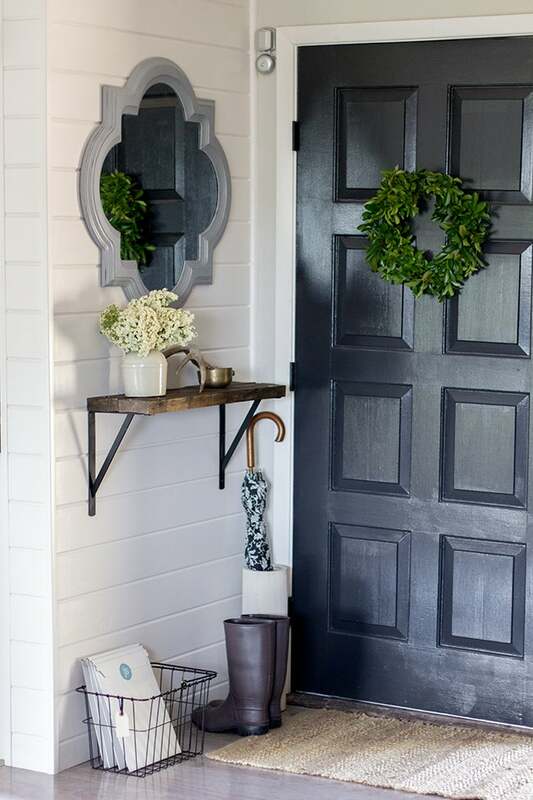 Impress your guests—and organize the clutter—with these 14 inspiring entryway ideas. First impressions are the most lasting. 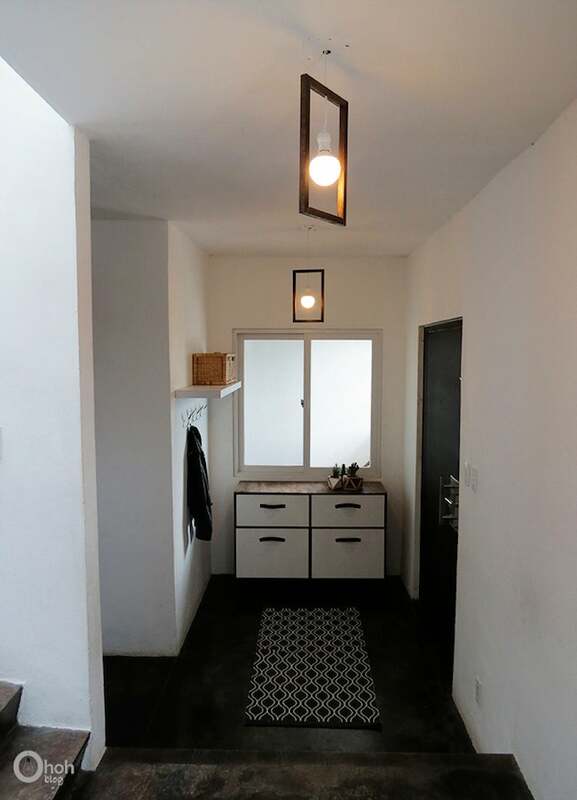 Ensure that your home makes a memorable one by designing an entryway that features dazzling decor, functional furnishings, bold lighting fixtures, and smart storage solutions. 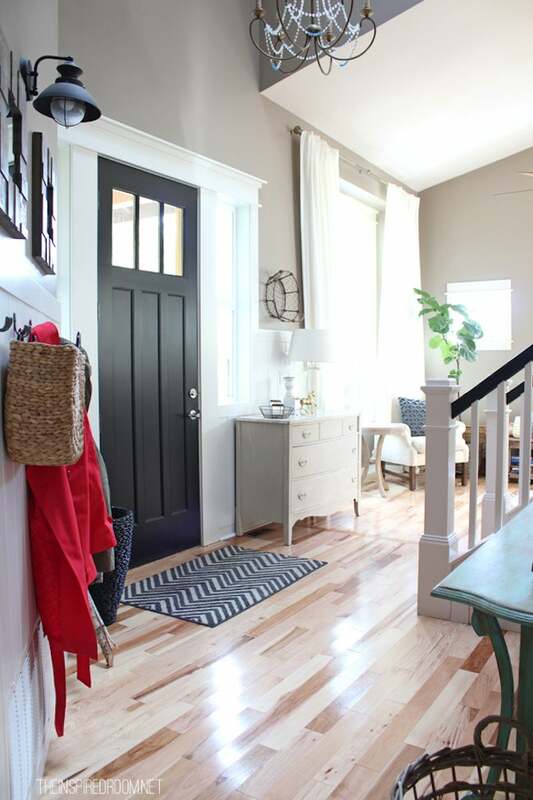 Get inspired with 14 entryway ideas from homeowners like you. This woodland-inspired entryway invites nature inside while leaving bad weather at the door. Assorted jute, sisal, or cloth mats help dry off and air out sopping shoes and boots, while wicker baskets stash gloves and scarves. Creativity and pragmatism aren’t mutually exclusive—especially in this unconventional and space-saving wall art gallery. 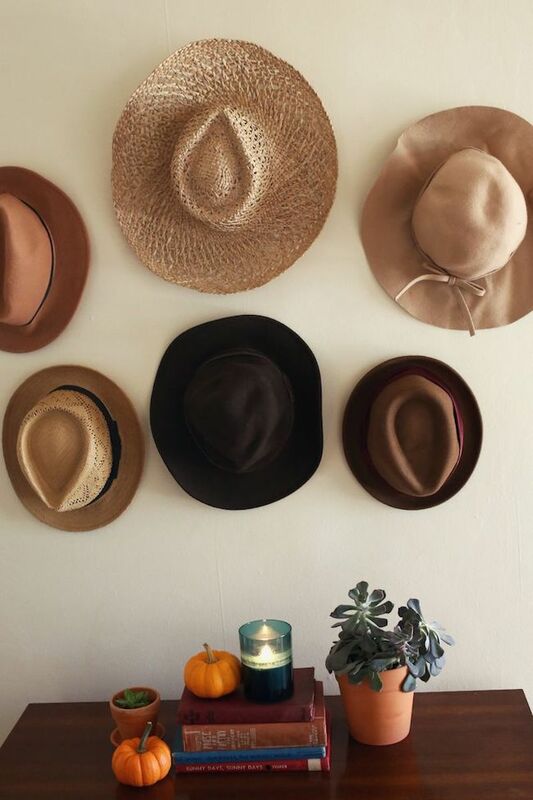 Hang hats or other personal collections on the wall with pegs, hooks, or even thumbtacks for an artful storage solution. 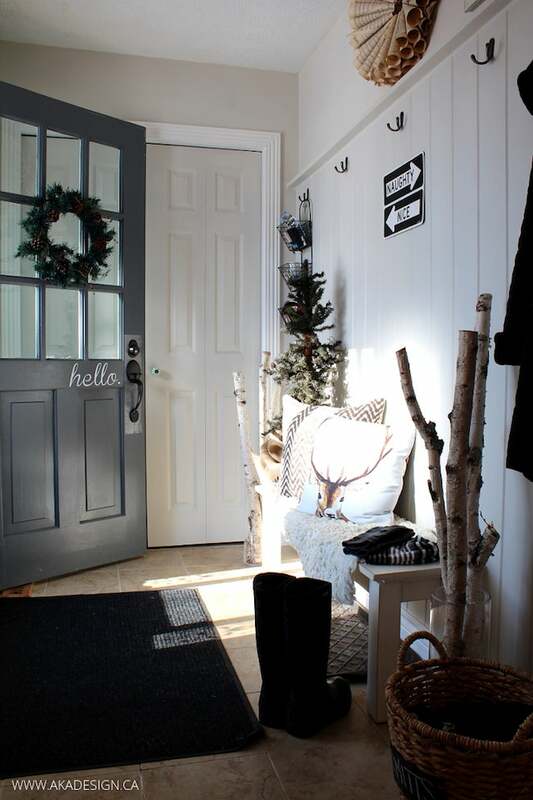 Don’t let a bleak foyer make your doorstep seem dark and uninviting. Lighten up with a minimalist DIY hanging pendant. (Check out this tutorial to learn how to make your own.) 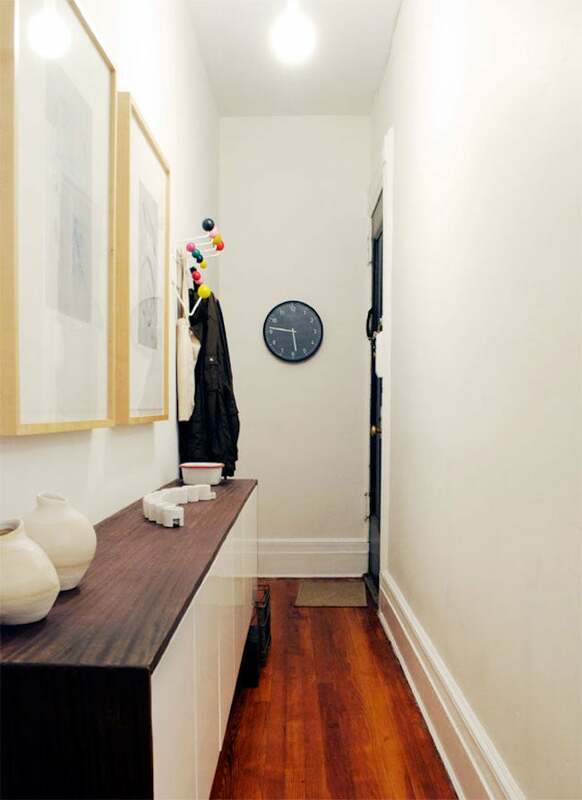 Precut wood molding helps expedite the project, while a simple electrical wiring technique ensures that your entryway will radiate warmth and charm (and light). 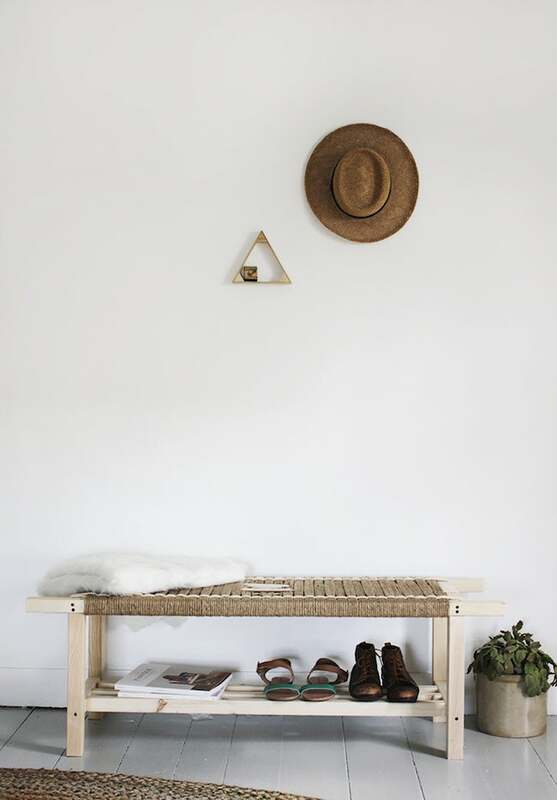 Gain twice the efficiency by constructing a double-duty bench that offers both shoe storage and a comfortable woven jute-and-cotton perch in a compact footprint. The roomy shoe rack, which consists of a layer of furring strips mounted under the bench, can tame any entryway’s unruly footwear. See the tutorial for more info. 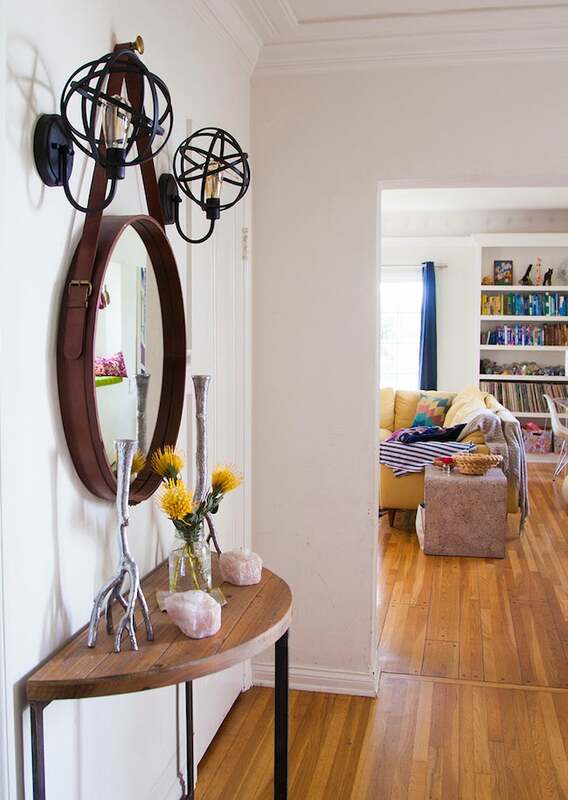 Transform an underutilized entryway into a vibrant, multipurpose household hub with the addition of space-smart accents. 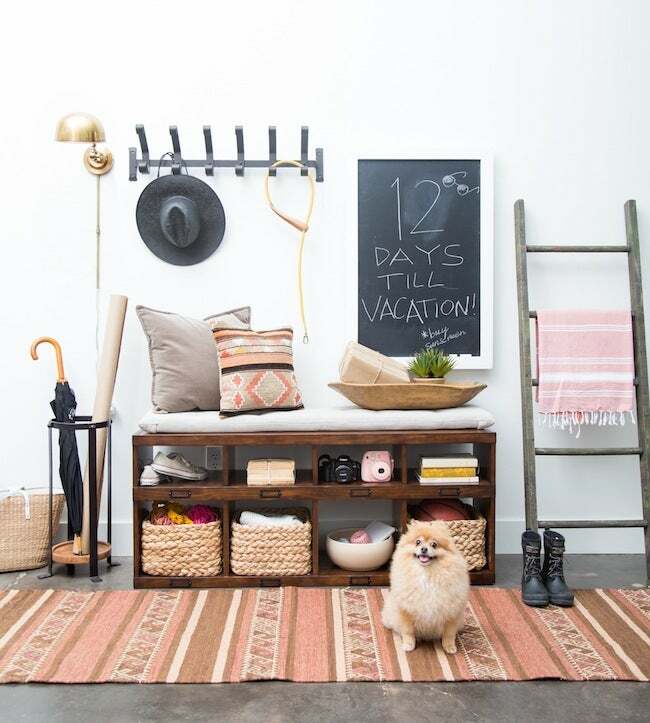 Here, a bench with cubbies and woven baskets, an umbrella stand, and a ladder that’s been repurposed as a shelving unit lend an air of well-ordered whimsy. Get your family’s reminders and organizational habits on effortless autopilot with a can’t-miss check-in station like the one described in this tutorial. Cubbies for everyday essentials and personalized, painted bulletin boards will corral everyone’s stuff in one convenient location and help keep track of plans and activities. Your guests will see themselves in the comfort of your happy home, reflected in a leather-bound mirror placed strategically at your entry. Accentuate the mirror of your choice with a space-efficient demilune console table for an all-around incredible design. If your foyer lacks storage space—and you’re nervous at the prospect of erecting teetering, sky-high cabinets—build your own credenza from an IKEA cabinet that’s been wrapped in plywood and mounted low on the wall. Although this clever solution is expansive enough to display cherished mementos and store plenty of essentials, its slim profile and floating installation keep it visually light in a long, narrow space. Keep your foyer clutter-free with a hardworking dresser that can conceal mail, keys, and personal effects discreetly behind closed drawers. 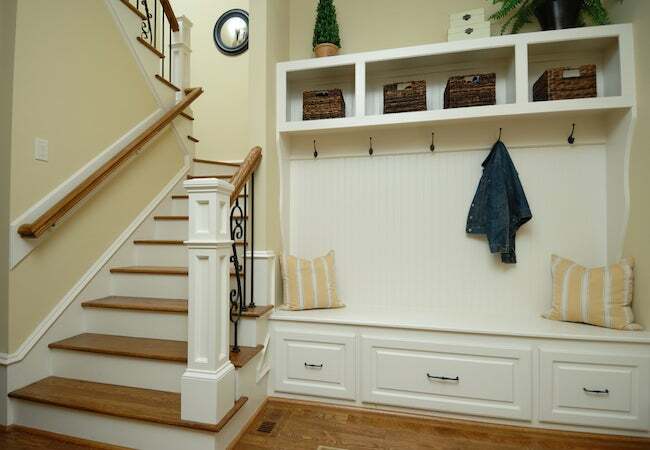 Place the dresser to the side of your entry to facilitate easy access without blocking foot traffic. 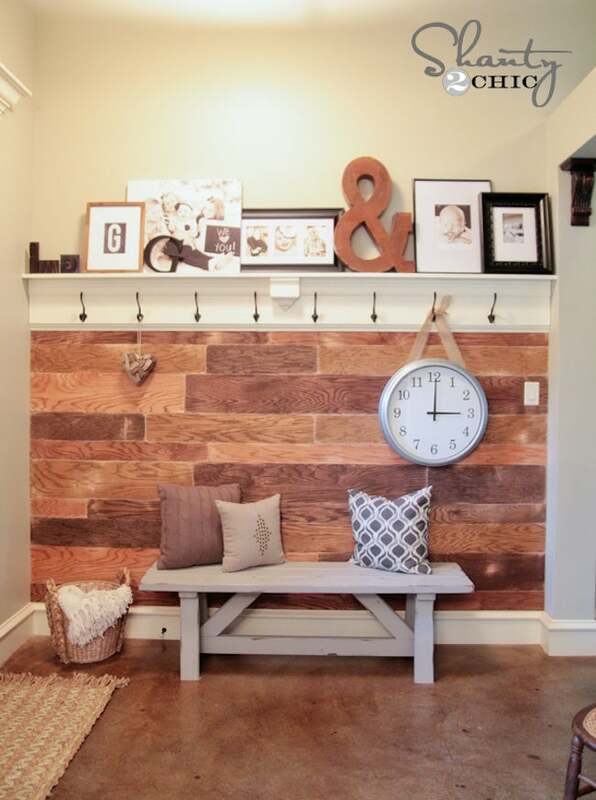 Warm up a cold entryway with the homey ambience of wood by erecting a plank wall of budget-friendly plywood as shown in this tutorial. With wood stained in a variety of shades, a row of practical hooks, and a bold hanging clock, this entry lets your guests really know they’ve arrived. For a truly elegant and understated storage solution, install a shelf made of pallet wood and supported by austere brackets as seen in this tutorial. The narrow shelf accommodates decorative accessories and must-have items, and leaves ample floor space for umbrellas and boots, without impeding the flow of traffic. You’ll be able to take your guests’ coats, hats, and bags without delay if you have a generously sized coat rack right next to your front door. This rustic storage solution is made from scrap wood and outfitted with plenty of bargain-buy wall hooks. 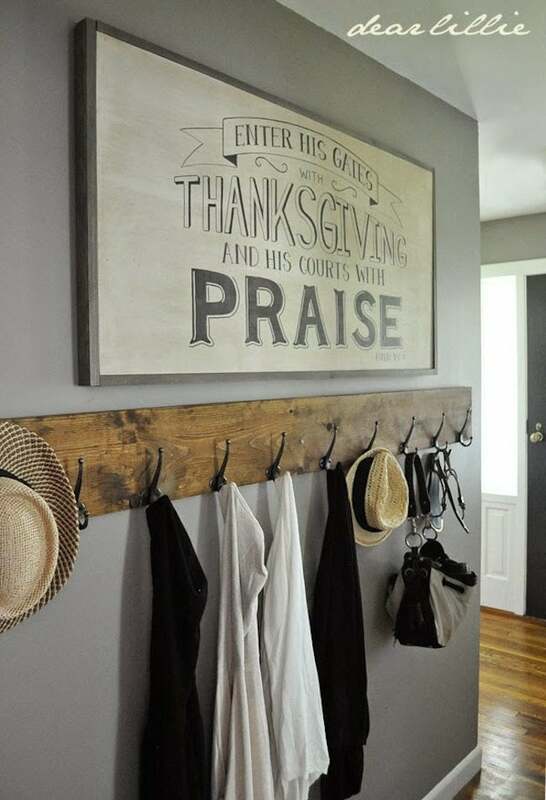 Hang a favorite plaque above the rack to offer all who enter a warm welcome. 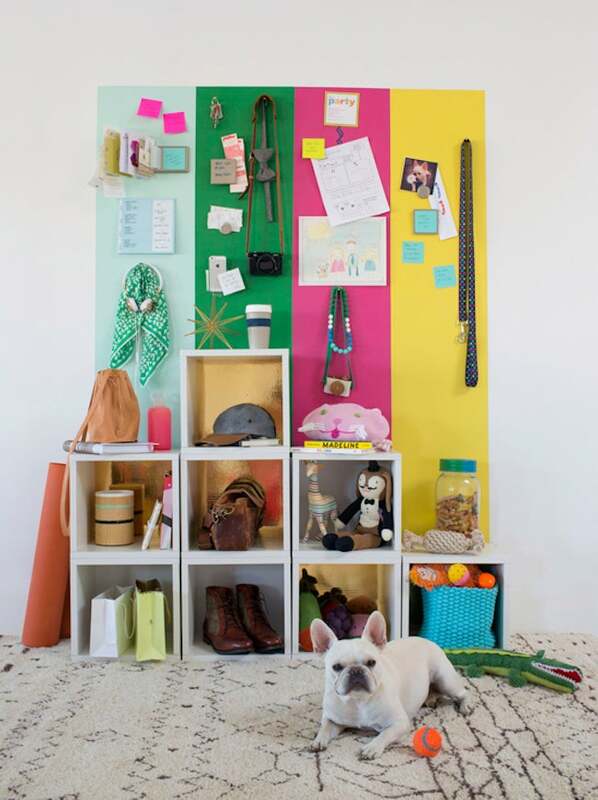 Don’t wait for the other shoe to drop before you install an inventive, wall-mounted shoe rack. 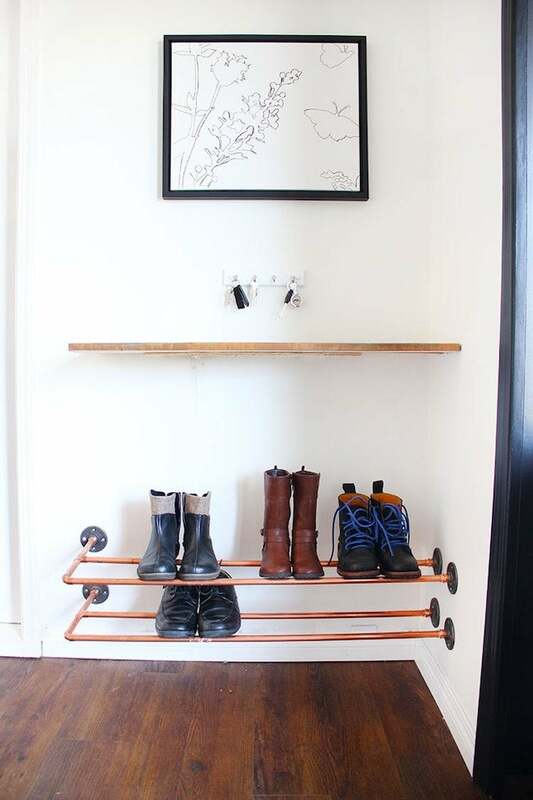 With the help of this tutorial, you can construct a sleek, functional rack of your own using copper pipe and floor flanges. As an added benefit, it’s extremely easy to clean between and underneath this metallic marvel. Unlike traditional calendars, a conspicuous, customized chalkboard calendar like this one is a real attention-grabber. Hang the calendar at eye level to ensure that you’ll be ready for whatever’s coming your way.